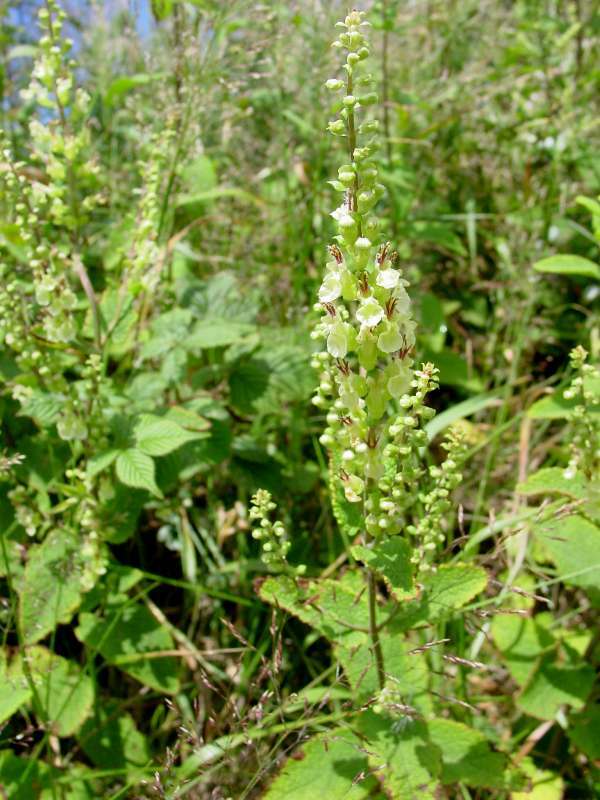 Wood Sage is widespread and common throughout the UK and Ireland. This member of the mint family has wrinkled leaves that look rather like sage, but despite its name it is more often found growing in open places rather than in woods. The flowers are green and white and lie along one sideof the stalk. 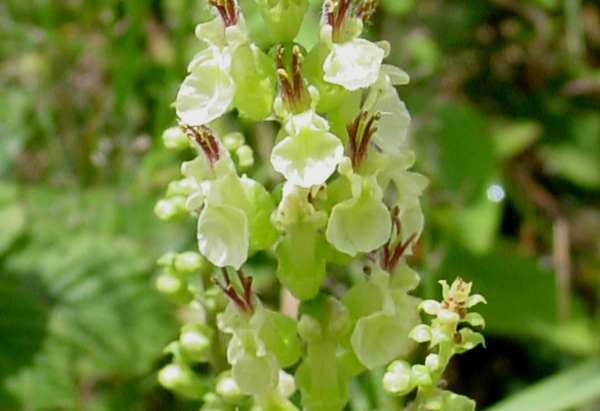 Wood sage can grow to 50 cm in height; it blooms from July through to September, and is most often found in areas of dry soil, including on cliff tops and dunes. 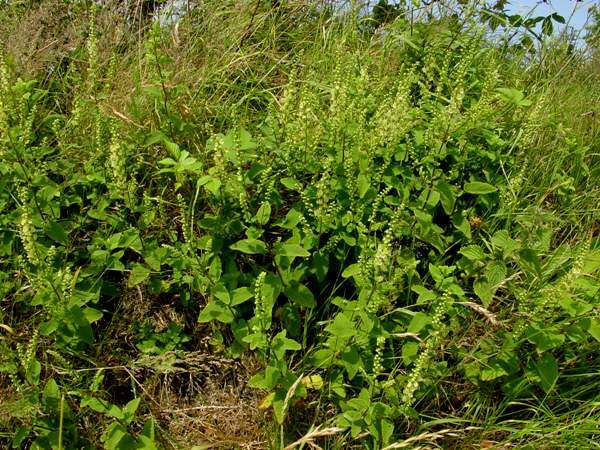 Although mainly a plant of acid substrates, Wood Sage will tolerate calcareous habitats, too, and grows in the limestone pavements of Gait Barrows National Nature Reserve and in The Burren in Ireland. This flower is much more beautiful up close than it appears from the distance view of an overall greenish looking plant. The pictures on this page were taken in West Wales in July.